James Conley Justice Jr. was born on 27 April 1951, in Charleston, South Carolina USA, to parents James Conley Justice and Edna Ruth Perry Justice. He is a coal and agriculture businessman, the owner of the luxurious Greenbrier resort and as of 2016 a candidate for Governor of West Virginia. 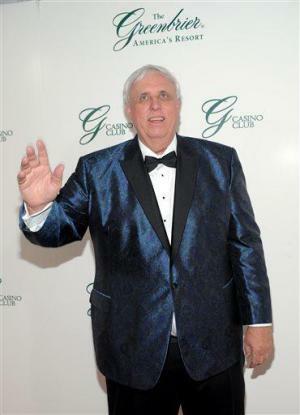 A famous businessman, how rich is Jim Justice at present? According to sources, Justice has established a net worth over $1.68 billion, as of mid-2016. His wealth has been accumulated through his coal mining and agriculture businesses, as well as through his various successful investments. According to Forbes, Justice is West Virginia’s richest man, owning 70 active mines employing 1,200 miners in five states. Justice grew up in Raleigh County and attended the University of Tennessee. He later transferred to Marshall University where he was a captain on a golf team called the Thundering Herd during his junior and senior years. Upon receiving his bachelor and then masters degrees, he became part of the family business, a coal mining company called Bluestone Industries. In 1977 Justice founded his own grain farming company, Bluestone Farms. The company eventually expanded to over 50,000 acres in five different states, and is now the largest grain producer on the east coast, called Justice Family Farms. Around the same time, Justice developed a 15,000-acre hunting and fishing preserve called Stoney Brook Plantation located in Monroe County, West Virginia. The success of the companies has greatly added to his net worth. When his father passed away in 1993, Justice became the President and CEO of Bluestone Industries, Inc. and Bluestone Coal Corporation. Over the following years, he greatly expanded his operations into a number of other businesses, including Christmas tree farms, golf courses, cotton gins, turf grass operations, expansion of coal reserves and timber advancement, among others. Justice became a six time national corn growing champion and eventually the President and CEO of around 50 different companies, significantly expanding his wealth. In 2009, he sold Bluestone Industries Inc. and affiliated companies’ coal operations in West Virginia to a Russian global company in mining and metals called Mechel for nearly $450 million in cash, and around 83 million shares in Mechel. His fortune was boosted. The same year he purchased the historic Greenbrier resort in White Sulphur Springs and the Greenbrier Sporting Club for $20.5 million, saving it from bankruptcy. Since he became the owner, the resort has undergone a huge change, as Justice invested over $250 million in it. The resort expanded to 100,000-acre complex including high-profile additions such as an underground casino, a golf tournament called The Greenbrier Classic which became part of the PGA Tour, a $30 million training facility for the New Orleans Saints, a luxury condominium complex and a medical facility. In 2010 Justice bought the resort at Glade Springs and 4,500 acres in Albemarle County in Virginia. The following year he purchased the Flowerdew Hundred plantation located on the James River and the Black Knight Country Club located in Beckley. In 2012 he purchased the Wintergreen Resort near Charlottesville, Virginia, and in 2015 he bought back some coal operations that he had sold to Mechel back in 2009. Aside from his successful business ventures, Justice has had a huge passion for sports. Serving as the president of the Beckley Little League since 1992, he has been a successful basketball coach for both girls and boys local school teams for over 30 years. In 2015 Justice announced that he is running for Governor of West Virginia in the 2016 election, after changing his party position from Republican to Democrat. When it comes to his private life, Justice has been married to Cathy since 1976, and they have two children. Although Justice has a reputation for ignoring payment of nearly $2 million in overdue fines for numerous mine safety violations, the businessman has donated a great deal of money to charities. This includes $25 million for the Boy Scouts of America for the Jim Justice National Boy Scout Camp in his home state, $5 million for Marshall University, and $10 million for the Cleveland Clinic. He has also awarded hundreds of thousands in scholarships and support for schools. Each year he donates $1 million in Christmas gifts for deserving children through the Dream Tree for Kids.